Learn about Makkah and Madinah. Learn about Umrah. We have found that it difficult to find information on Umrah. Sure, the books on Hajj made references to Umrah and had short chapters in it, but those snippets don’t really satisfy the craving to learn more. Eventually come across a nice book on Umrah entitled, “The Ultimate Guide to Umrah.” We are not endorsing one specific book over another, but we would urge you to learn about what you are about to experience before you go. Also, make a copy of your passport and important documents and email them to yourself and your loved ones so you have a copy if something goes awry. There are simple rules that people can violate without thinking. 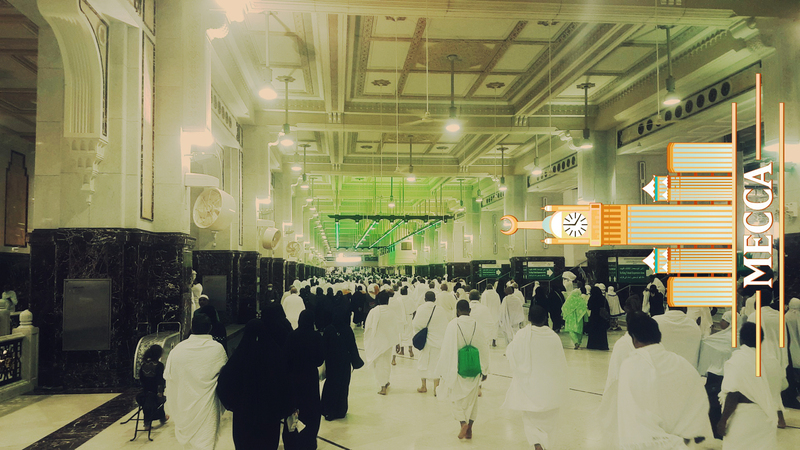 For example, know that you can’t use scented soap when in ihram, so try to get some unscented soap before you leave. Another rule is that you can’t cover your head with your ihram (for men). So even if it’s really sunny, don’t wrap that towel to protect yourself. Another issue is it’s important to cover your awrah while in the state of ihram. Don’t expose yourself while you are wearing it, just be careful Insha’Allah. If you have a smartphone, you can download apps like Viber or MagicJack that make it easier to call home for free on Wi-Fi, which is available in some hotel lobbies. Keep your phone on airplane mode and turn on the Wi-Fi so that you don’t get charged extraordinary roaming charges. Also, if you have an iPhone, you can use iMessaging to text other iPhone users while the phone is still in airplane mode using Wi-Fi for free as well. Ask them where they are from. There are people from all over the world. Makkah and Madinah are places of gathering for people from all over the world. Have you ever met people from Azerbaijan or Mauritius or Iran or may be Bangladesh even? Become enlightened on the beautiful brotherhood/sisterhood of our amazing faith. Talking to people help in gaining confidence and knowledge about other cultures. Meeting new and talking to new will help you to respect others opinion and it will also make you respect other sects of Islam. Kaabah Tours offers you a wide collection of Umrah packages of your choice. We make your Umrah journey completely comfortable and peaceful. Find out your perfect Umrah Deal at Kaabah Tours.